We renovated a kitchen in a plantation home built in the 1930s by refinishing the original oak wood floors, installing new cabinets, new appliances, a granite countertop and fresh new paint. The wall next to the stove was opened up to their new dining room. 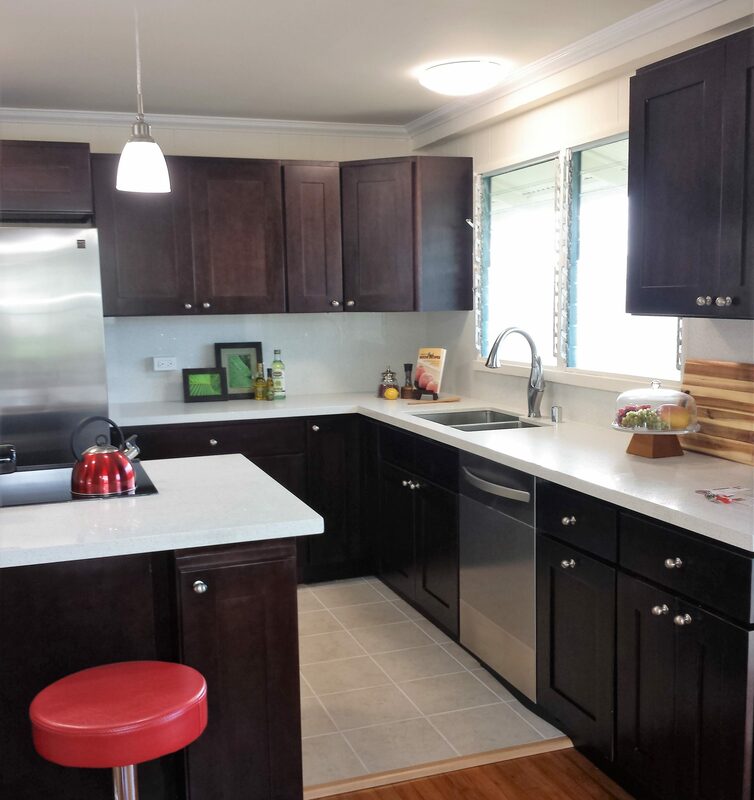 Here are some “Before” and “After” photos of our kitchen at the Ilima Project. All new kitchen with new electrical, plumbing, cafe colored cabinets, quartz countertop, and new appliances. Here is a quick one day basic renovation of a removal and replacement of a kitchen cabinet, sink and faucet. Due to prolonged water damage, the cabinets and countertop were showing signs of deterioration. After a long day, the replacement of the kitchen cabinet was completed with a new sink, new cabinets and new countertop.